I am a dedicated and qualified practitioner offering your Cat, Dog or Horse a growing variety of services to truly enhance their lifestyle, well being and health; Therapies include Equine, Cat & Canine Muscle Release Therapy™ (Soft Tissue Therapy for Cats, Dogs and Horses), Australian Bush Remedies and Reiki! I have always strived to provide all of my clientele with the best and most up to date personalised care available; utilising gentle, natural, and highly effective therapies in order to assist in the return of good health for the animals in my care, whilst offering the best customer service possible. 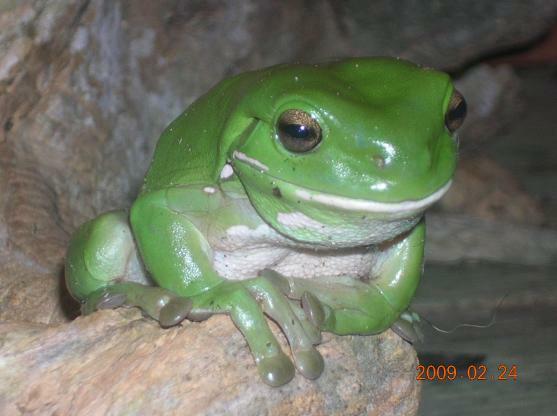 As part of my professional service, I provide a mobile benefit to all of my animal clientele to such areas ranging from Northern Sydney, NSW Central Coast, Hunter/Newcastle region whilst travelling as far north as Port Stephens, Karuah, Singleton and Taree, for the specific intention of your animal remaining comfortable and unstressed in their own home environment. or contact me on 0414 696355. WHY WOULD YOU SELECT ME? I am extremely dedicated to working with my animal clients to the very best of my training and skills, utilising only natural and non invasive therapeutic remedies with generally wonderful results. I continually research and enhance my own practitioner skills in order to provide the best professional service to each and every client member. An older and quite unapproachable male cat constantly swiped at the customers entering into owner’s grooming business. Whenever a person stopped to pay attention to him, this boy would let them know that this was not welcomed in no uncertain ways. After the very first CCMRT™ treatment, Beau was decidedly a much happier and calmer cat, and actually allowed customers to pat him without any painful retaliation. A 14-year-old female German Shepherd cross client commenced having difficulties walking comfortably and moving around on her hind legs. After being diagnosed with some age issues such as arthritic inflammation in her joints, her owner decided it was time to try some additional natural remedies to assist her aging girl. Already feeding her with natural supplements and minerals, it was time for this lovely girl to receive some remedial treatments. She was treated with CCMRT™ every 3 weeks due to her advancing age, and lived happily for a further 3 years. Older Palomino mare, left to her own devices in a paddock with just cattle for a period of 20 years. When rescued she was in horrendous condition, with all bony areas very evident, coat condition dry and coarse and fairly suspicious of human contact. After regular treatment as well as good nutrition and extra TLC from her rescuer, Bonnie has improved extraordinarily with her coat improving, her muscular atrophy reversing and her desire to be more in the company of her carers. To date this beautiful little girl has blossomed and will most assuredly be with us for some time yet. The benefits after treatment have included increased circulation and lymphatic drainage, relaxation of muscles and increased joint mobility. This gentle and remedial therapy (not massage) is an amazing and unique, soft tissue therapy that generally initiates lasting positive results within the body. The technique, although gentle and non invasive, addresses all soft tissue within the physical body (muscle, ligament, tendons and fascia), as well as producing a profound effect upon the skeleton, internal organs, lymphatic system, meridians and acu-points as well as releasing trigger and stress points. It is therefore not only a physical but also a vibrational therapy that encourages the body to return to homeostasis, that is, natural balance. The body possesses an amazing capacity and ability to heal if just given the chance. Many issues such as muscular strain, respiratory and organ function can be painlessly resolved and enhanced, when the body receives the assistance that is requires from the right therapy and encouragement. With its non intrusive nature, CCMRT™ and EMRT™ specifically works from within the body, focusing upon the ACTUAL CAUSE of the offending issue, and not just the relating SYMPTOMS. It is these simple characteristics that ultimately highlights the unique significance of this therapy when compared to others. And there is always the understanding that no two bodies are the same, therefore no two treatments would be the same for what appears to be the same issue. Therefore, each treatment becomes very individual in approach and attention. With this in mind, a range of therapies, advice and ongoing support is individually designed to address (for you AND your animal) health issues. Further, a natural and holistic approach to healing is always provided where needed, however, when in doubt - get the vet out. This therapy remains complementary to, and does not replace, professional veterinary care! AUSTRALIAN BUSH FLOWER ESSENCES ~ These therapies remain non invasive and assist in addressing emotional and behavioural issues, as well as supporting emotional recovery from trauma, surgery or illness. REIKI THERAPY ~ Balances, Harmonises and Re-calibrates the flow of the energy meridians, chakra and energetic centres of the body through gentle remedial approaches. Conventional medicine generally focuses upon the disease or condition, or better yet, the SYMPTOM. However, natural healthcare focuses upon the WHOLE body and all the conditions that can affect your animal’s health such as genetics, physical states and stress factors. 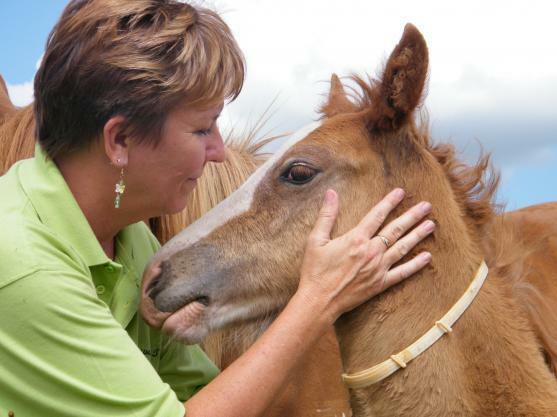 I work in conjunction with veterinary professionals in order to unite conventional treatments with a complementary approach, specifically with the intent to provide each recipient with a least stressful, non invasive, more nurturing, and less detrimental journey to healing. Respiratory System - such as congestion, breathing difficulties, cough. Digestive Health - such as bad breath, constipation, bowel problems or disease. Ears/Eyes/Nose/Throat - such as conjunctivitis, ear infections, fly bitten ears. Muscular Skeletal System - such as arthritis, cruciate ligament, sprain/strain, tendonitis. Nervous System - such as stress, anxiety, depression, fear. Skin - such as allergies, dermatitis, eczema, dry skin/coat, fleas, smelly dog or cat, rain scald. Urinary System - such as cystitis, incontinence, kidney stones. All of my approaches to my animal clients always remain respectful, gentle, non invasive and are totally focused upon the animal's well being and ultimate healing. I have always had an intense love and passion for animals for most of my life, and my focus has always been to assist, care for and where possible, rehabilitate whatever homeless creature that came my way. That dedication now continues onward into my career, and my intention remains in providing the very best in care for all of my clientele, be they 2 legged or 4. With this in mind, I remain dedicated in extending that commitment to absolutely every area of my work. I am very much looking forward to working with your animal/s on their pathway to good health, balance and well being! Full Consultation : An initial /full consultation incorporates a comprehensive assessment of your animal and includes the use of therapies that address physical, emotional or mental imbalances. A full consultation generally takes about 60 minutes and is currently - $70 for Equine visits, and $60 for Small Animals. Bush Essence Consultations : An Essence consultation is $25 and includes discussing the necessary behavioural outline and requirements, and then a tailored remedy is then prepared for the individual. These consultations may be conducted via email /phone and remedies then mailed. Consultation fee includes one remedy. As I provide a mobile service for my clients, for consultations that are provided outside the Metropolitan Central Coast region, there may be additional travel fees required. Details may be discussed at time of booking. Please note that these therapies are designed to be complementary to professional veterinary care and DOES NOT REPLACE IT! If in doubt ALWAYS ensure that you contact your vet as quickly as possible. "My name is Marguerita and I have a passion for animals, particularly dogs. I have managed to acquire a family of four dogs in my travels, all different shapes in sizes. Of particular interest here is my old Rottweiler, Cali. Having rescued her from an abusive home at the age of 3, we have given her a loving home for 10 years now. In that time she has managed to snap both her back cruciate ligaments. The first was when she was nine, and she had major surgery to wire up the joint which took her 6 months to recover from. When she snapped the other one a year later, at the age of 10, although a healthy dog, we wondered how she would cope with the surgery and prolonged recovery. For 6 months she hobbled around while we sought an alternative for her. That’s when Virginia came into our lives with animal Bowen. Already a fan of Bowen Therapy myself, I was keen to have Cali treated by Virginia. The results were amazing. After just 3 treatments, you could barely notice there was any problem at all and as long as she has maintenance treatments on a regular basis, 2 years on at the tender age of 13 she is still going strong, which is pretty amazing for a Rotti. She will never be perfect, but considering she couldn’t put her weight on her back leg at all 3 years ago, she has pretty good function in both back legs now. Thanks Virginia. If it weren’t for you I might have had to put down my beautiful old girl a couple of years ago. " Ellie, our beautiful Golden Cocker spaniel, was diagnosed with an immune disorder several years ago after giving birth to a litter of puppies, and the diagnosis given was extremely vague at best. She had so much difficulty in using her back legs that we got to a point where the only way for her to "go " outside was to be carried. Then we met Virginia in her animal Bowen training years, and after enquiring as to whether Bowen could help Ellie, we decided that it being described as such a gentle therapy, we had nothing to lose by giving it a go. Ellie experienced her very first treatment and we noticed her whole capabilities change after that very first treatment. Ellie actually ran out the door the next morning. Ellie is a very happy and still partly disabled member of our family and if it wasn’t for her Bowen treatment every few weeks she wouldn’t have the quality of life that she has at this time. I must admit that I was a little sceptical at first, but after seeing her results, I am totally convinced she is with us today because of Bowen. Our dog means the world to our family and when he was suddenly diagnosed with Intervertebral disc disease we were devastated. Our vet gave us three options; the first was to perform a quite risky and expensive surgery with no guarantee that he would be okay. The second option was to have him put down. The third was to bring him home, keep him confined, and with pain medication hope that he may start to heal (we were told this was a very slim chance). We chose the third option and were determined that he would be okay. We enlisted the help of Virginia and her Bowen therapy. With Virginia’s treatment and other natural therapies our dog Scrappy is now happy and fighting fit! Not only did Virginia’s Bowen Therapy help to heal our dog, she also offered such wonderful advise during a very stressful time. I am truly grateful for Virginia’s work and would recommend Bowen Therapy to anyone who is in need of pain relief. After more than 4 months of rest, multiple vet and chiropractic visits and physio exercises and still no concrete diagnosis, I was at my wits end when I saw an article about EMRT™. The nearest practitioner was over 3 hours away, but after hearing about Vega's worsening condition (he had deteriorated to the point that he would only walk slowly, had a total loss of appetite and was completely non-interactive and listless) the complete opposite to my normal fat, shiny and active Vega, Virginia jumped in her car and drove 6 hours in one day to treat him. From the first treatment, big things were happening fast. Virginia found that he had a noticeable irregularity in his spine with three vertebrae out of alignment, as well as the long suspected sacroiliac joint damage. In his first treatment Vega’s body went into involuntary and very obvious reflexes and stretches along his spine, with the most noticeable resulting in him physically realigning several of his spinal vertebrae between his wither and sacroiliac joint. At the end of his first 2 hour treatment, he was walking much better. 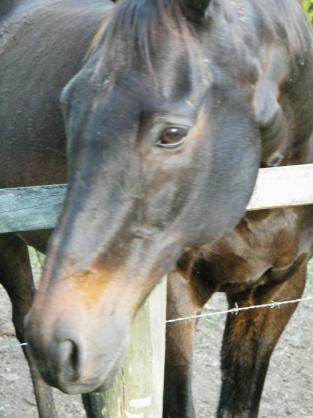 After his second treatment, Vega was cantering up from the paddock for his dinner, and not sharing with the other horses. After his third treatment in 2.5 months, Vega was moving better than at any time that I have owned him and was seen galloping, bucking and really extending in trot in the paddock. Now that he is finally back under saddle he feels much more sound in the back than ever and is a greatly improved riding partner. My riding princess, Wanda, somehow managed to put her right front foot in a hole and jarred her right shoulder during the late summer. She limped, dragged her feet, and generally looked very unhappy. I couldn't ride her as she was basically lame and in pain. For a very proud, aristocratic Arab princess Wanda was a shadow of her normal happy, forward moving style queen. Farriers, vets and rest over two months had shown some improvement but the stiffness lingered as did her `drab' attitude. Having witnessed equine massage, I was not convinced that it would yield any benefit - however, a very good friend suggested I try EMRT™ as an alternative. After three months of no riding I was willing to try anything that would not harm my princess and maybe bring relief. Enter Virginia and EMRT™ - what a difference! On her first visit, Virginia treated Wanda and another horse. After the initial indignity where Wanda had to `suffer' being touched by this strange new person she relaxed. The first treatment lasted an hour. Her muscles relaxed, she stood straighter and the `tightness' around her eyes disappeared. I was focused on Wanda and Virginia, and didn't notice that we had gathered an audience - four of my other horses surrounded us and were enjoying the experience via proxy. Wanda showed an immediate improvement, which has continued since that first treatment. I could see Wanda's muscles ease, her alignment straighten and her joy in life return. EMRT™ was non-invasive, gentle and totally effective. We have continued to treat Wanda and I have become a Bowen convert - even receiving treatment myself for a very bad back... lucky though that Virginia was happy to treat me in the comfort of the lounge room and not the stable! 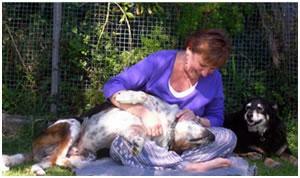 Ambience Wellness - Natural Animal Therapies has 3 more galleries.